Principal Skinner encounters Bart and his friends while giving a tour of Springfield Elementary to his mother. 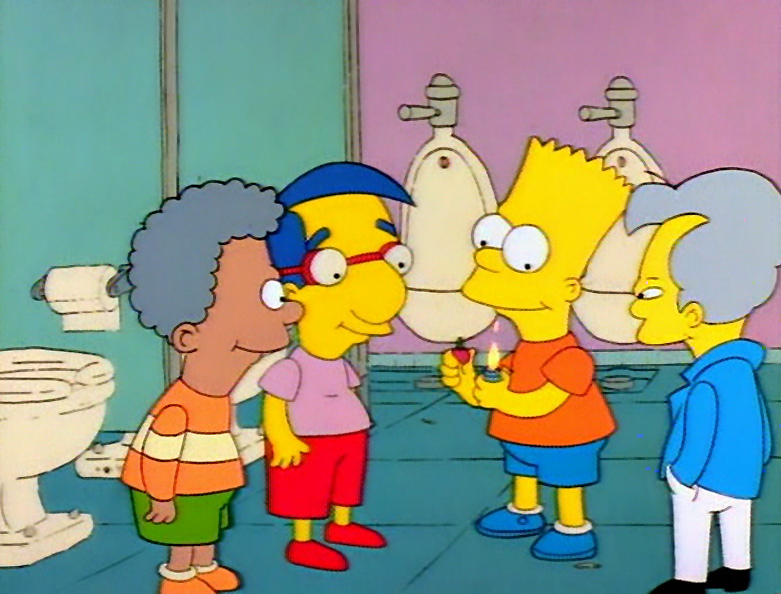 When Mrs. Skinner excuses herself to use the ladies room, Bart ignites a cherry bomb and flushes it down a toilet. Mrs. Skinner is blown off the commode. Exasperated with Bart's demonic behavior, Skinner persuades Homer and Marge to place him in a student exchange program. 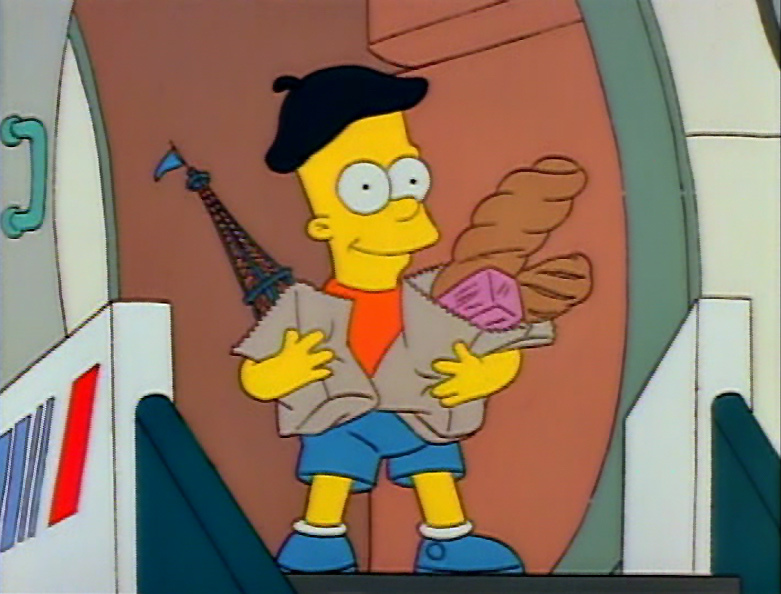 Expecting the good life, Bart enthusiastically sets off for France as the Simpsons welcome their exchange student, Adil Hoxha, from Albania. Bart arrives in Paris only to discover that his exchange parents, Ugolin and Cesar, intend to use him as their slave. In Springfield, Adil asks Homer to take him to the nuclear power plant. Once inside, he takes pictures of sensitive equipment and secretly relays the information back to Albania. Ugolina and Cesar force Bart to sample their wine laced with anti-freeze to see if it harms him. When Bart is sent to the store for more anti-freeze, he amazes himself by speaking fluent French and begs a policeman for help. Meanwhile, the FBI detects the satellite signal Adil uses to send his secret material and arrests him. 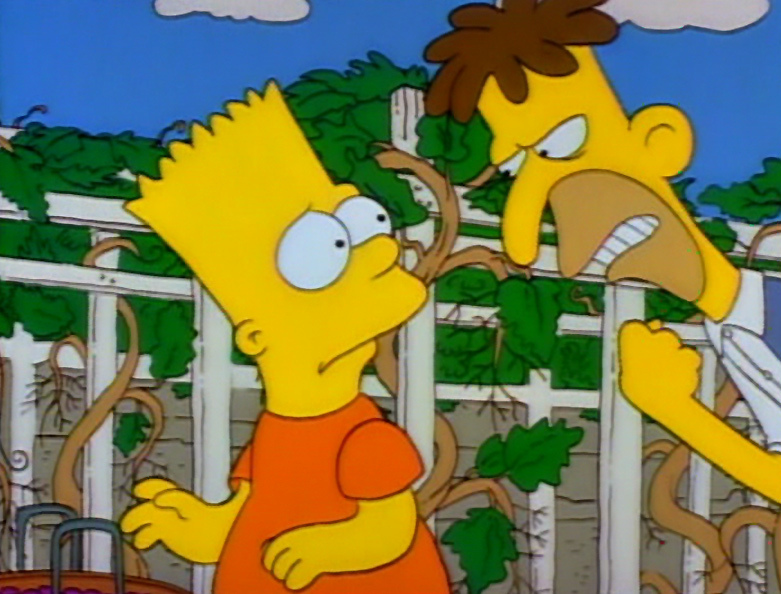 In Frnace, Ugolin and Cesar are arrested and Bart is hailed as a national hero for saving France's precious wine. 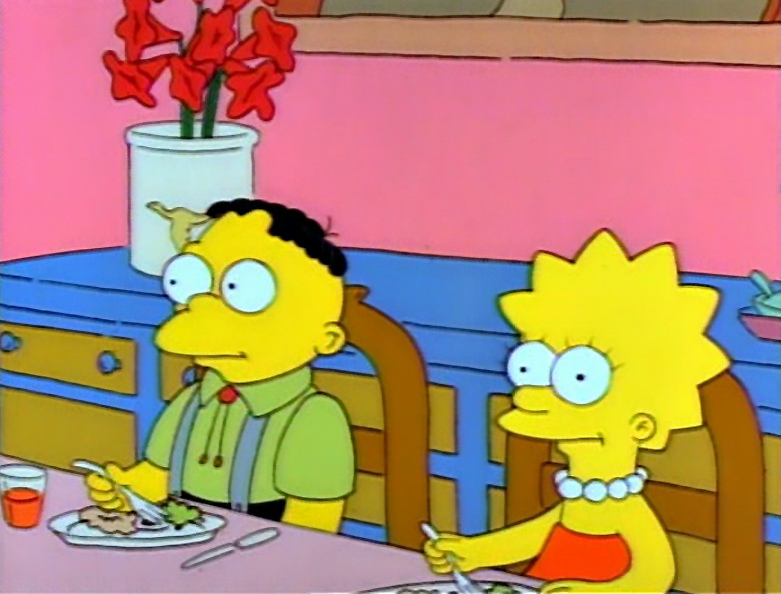 Bart's pet frog is named "Froggy"
The Krusty the Clown doll gets stuck repeating "I like to play with you"
Agnes Skinner refers to Principal Skinner as "spanky"
Newsweeque Magazine reads Vive le Bart! !